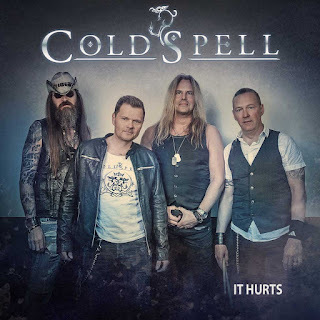 Swedish melodic hard rock band, COLDSPELL, have released a music video for "It Hurts", the track is taken from their latest album, "A New World Arise". The song is a single version (intro shortened) and the video was shot at the Rock City Stockholm Festival in April 28th, capturing the band making a live performance. The video can be viewed here: https://youtu.be/P3kmwN6jf34.